The main reason why any of us want a website is to have people see it. If you have a business website, you want conversions and returns, but more importantly, you need visitors. You’ve probably given web traffic serious thought already – how to increase website traffic, how to use your ad campaigns to draw traffic, how to get more targeted web traffic, how to get more of your visitors turn into buyers and clients. In this session we discuss in detail the many aspects of drawing traffic to your website through your ad campaign. As a campaigner, you may have got to a point where your ads are doing really well, you are managing your bids well, and your match type strategy is solid. Your keywords research is thorough and you’re constantly mining search queries and optimizing ad texts and landing pages. But now it is time for the next step. Now you need to drive more leads by expanding to new keywords and campaigns. Change your campaign settings – change the monthly budget, keywords, ad delivery, frequency, targeting options and conversion tracking tools to find what suits you best. Also work around day parting and geo targeting settings to achieve optimal efficiency from your ad campaign. Advertising is the key to continuing operations on the web. But often the technical and business development infrastructure of a site is not enough to recruit their own advertiser accounts and serve their own ads. If your site is one of these then you’ve probably had to depend on third-party advertisement serving companies. You have probably found the server space, campaign delivery and reporting facilities that you needed for your ads. However even if this is a cost-effective solution, this also means that your ads will only appear on the sites that are also using the third party. Once your advertising campaign is more stable, it may be advisable to look beyond the third-party to networks that will make your ads visible on other sites too. 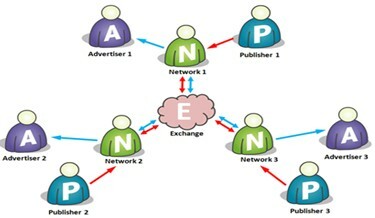 In addition by connecting publishers to advertisers, these networks can provide targeting capabilities. You may also consider ad exchanges as they eventually lead to better pricing for their advertisers. Tweak your budget, consider the opportunities and then pick the one that you think is the most logical step up from your third-party affiliations.